Two substances are mainly responsible for boar taint: Androstenone and Skatole. The liver has a central role in their metabolism but both substances can be transported by blood plasma directly to the fat tissues (see figure 3). It should also be mentioned that, to a lesser extent, the substance indole has an effect on boar taint. 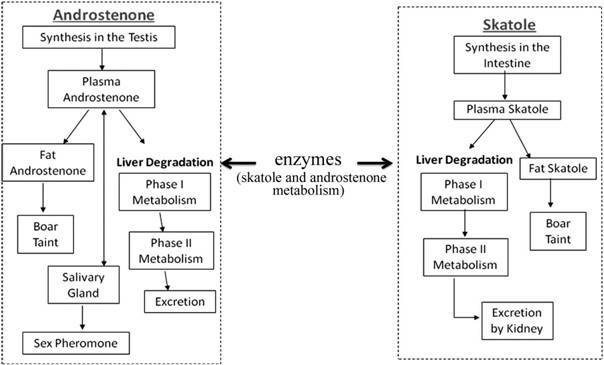 Figure 3: Summary of the metabolic pathways of androstenone and skatole showing the role of enzymes in the liver (After Zamaratskaia and Squires, 2009).